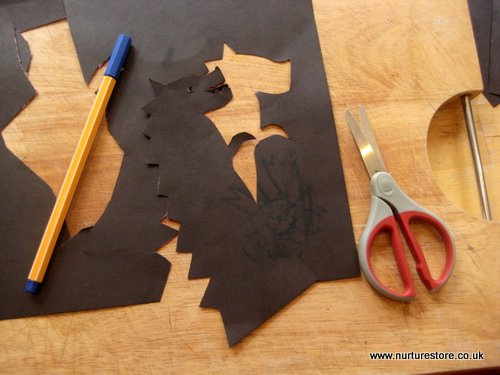 Use this guide on how to make easy shadow puppets to make your own puppet show. Remember the indoor meadow we grew as one of our Earth Day activities? This week it has become the indoor / outdoor stage for a theatre production using shadow puppets. Home made puppets are some of the most played with toys in our house, lending themselves time and time again to all sorts of adventures. The children play with puppets so often I think because it lets them be the master of a small universe and really stretch their imaginations as they tell their tales. Puppets are also a wonderful way for children to work out real-life relationships and develop their language – and so much fun to make! 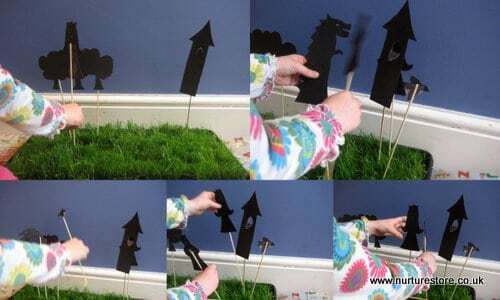 Here’s how the girls made their shadow puppets this week, with links to some of the other puppet ideas in our archives. They started by drawing out their characters on black card. Card works better than paper a it gives the puppets more substance and they’ll last longer for more play. 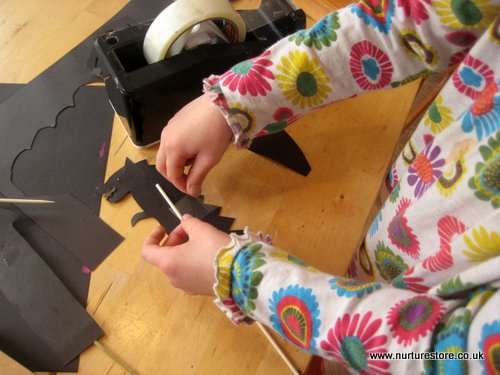 We happened to have black card out for drawing on that day, which I think sparked the girls idea to make shadow puppets, as the black made their images look like shadows even before any light was shone on them – but any colour would work. 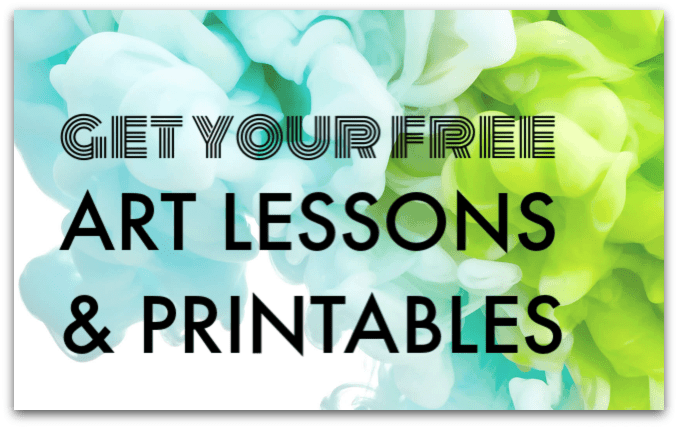 To cast clear shadows it’s best to use bold, clear shapes for your characters. You might like to make a set to tell a particular story, or make a set of archetypes you can use for lots of tales: a wolf, a castle, a princess, a dragon…. 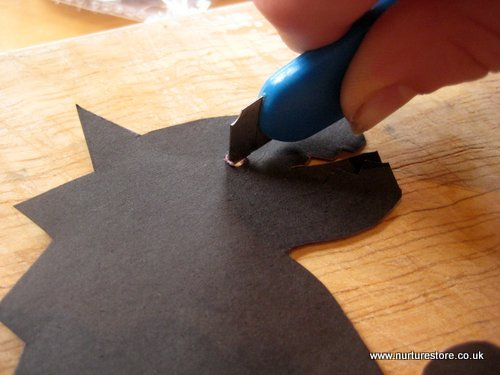 Once the shadow puppets are cut out you can add in a few extra details using a craft knife. Think about the effect the light shining on your puppets will create and add eyes, mouths or windows. Add a stick to the back of each puppet – a wooden skewer, lollipop stick, drinking straw or twig from a tree can all work well. Then your puppets are ready to play. B borrowed an angled lamp to shine on her puppets to cast shadows on the wall. 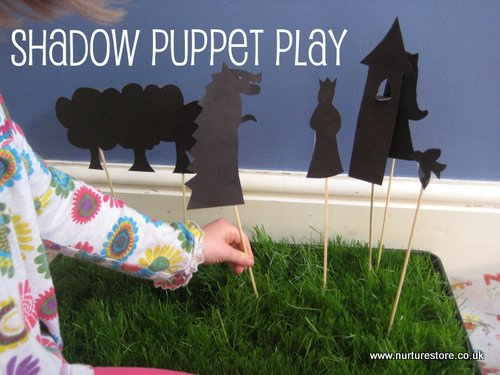 L was happy to have the black puppets as they were and used the indoor meadow as her stage. Poking the sticks in to the soil held them all in places for her to tell her tale of a princess locked in a tower by a mean wolf, and set free with the help of a friendly little bird. 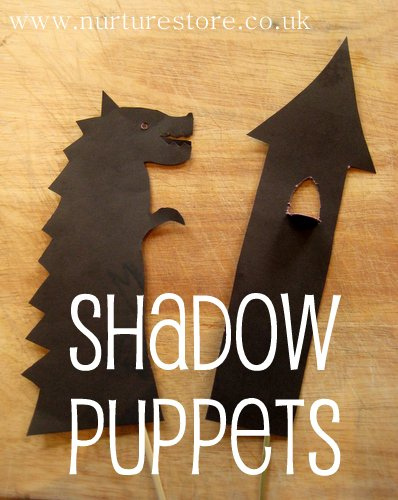 This is awesome—I hadn’t thought about playing with shadow puppets! My toddler is very curious about his shadows in the sun, and I think it’ll be fun to introduce the concept of it in the dark with a lamp or flash light too. Thanks Sleeping Mom. My youngest is really interested in shadows too and likes to jump on mine as we walk along!